Hooooowwwwlll! 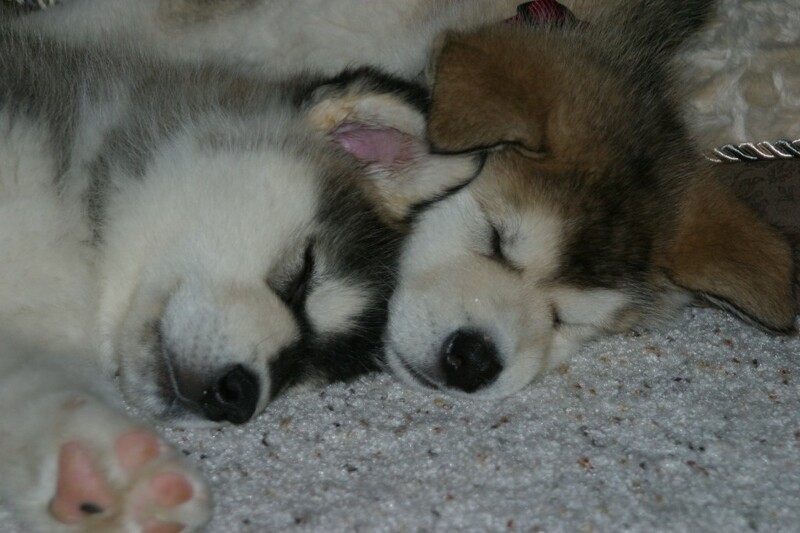 We are Nuka & Sheena, brother & sister Alaskan Malamutes. We love to talk and howl; we only bark if something is really wrong. Mom brought us home at 8 weeks old and has had her hands full ever since. We are now 8 years old and are just figuring out that we are no longer pups. What do you mean that we are WAY TOO BIG to be lap dogs? Weighing in at 130 and 141 pounds we almost outweigh both our humans and can’t understand why they don’t want us on the furniture or trying to crawl onto their laps. 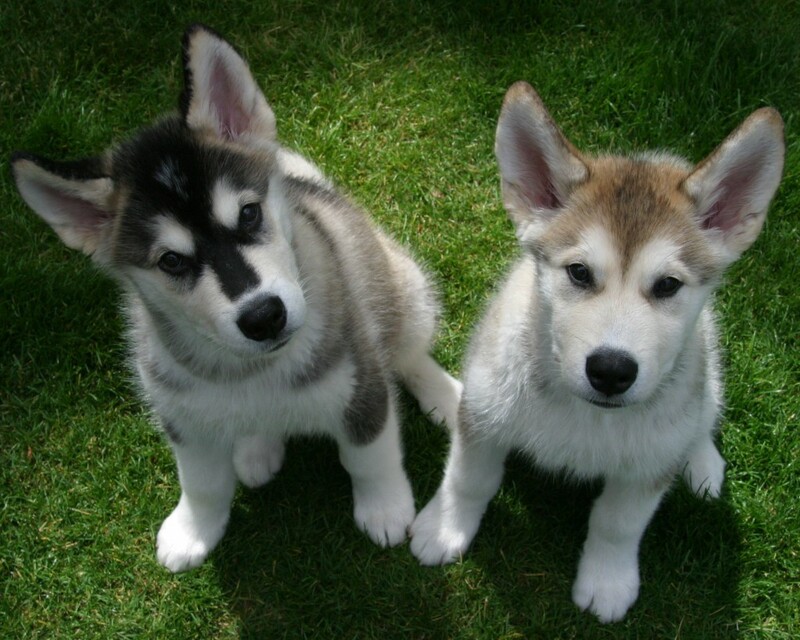 Sheena (AKA: Princess) is a tan and white female malamute. She is known to be human shadow who is happiest glued to her human’s side, on a pile of dirty laundry or curled up in the smallest space she can fit herself into. She is the boss! She steals Nuka’s toys and doesn’t even play with them, just lies on top of them. But give her a soccer ball, or basketball and she is a four legged Pele’ until she gets her mouth around it and pops it. She can never get enough attention, petting, tummy rubs or hugs! Nuka (AKA: Mr. Cool) is black & white and according to his owner is “too cool for school”! But if you don’t say hello to him he’ll give you an earful. He loves to lounge around outside all day. Everyone tells him he’s beautiful and it’s starting to go to his head. When he’s being petted he wants people to hold his paw, as if they are supposed to kiss his ring like he’s a king. But he doesn’t look very regal when he is laying around upside down; his gums flapping and with his feet straight up in the air! 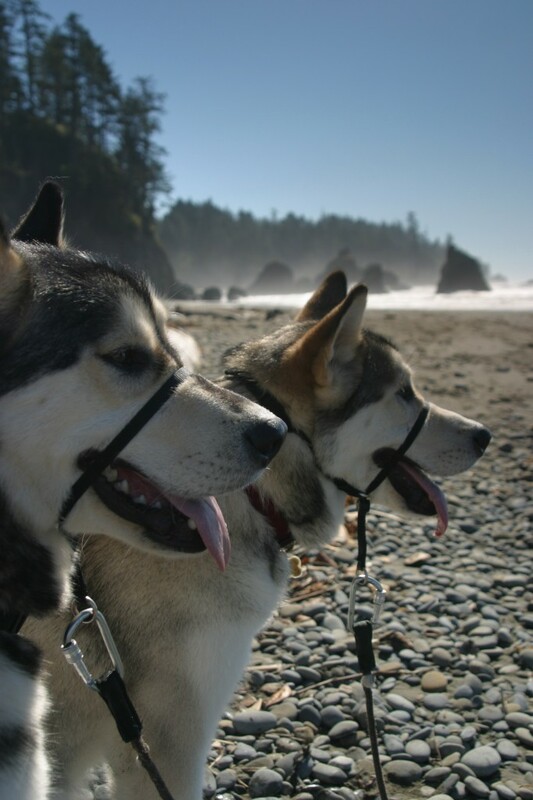 These beautiful Malamutes go on long walks every day and are adored by their neighborhood fan base. Rock on!